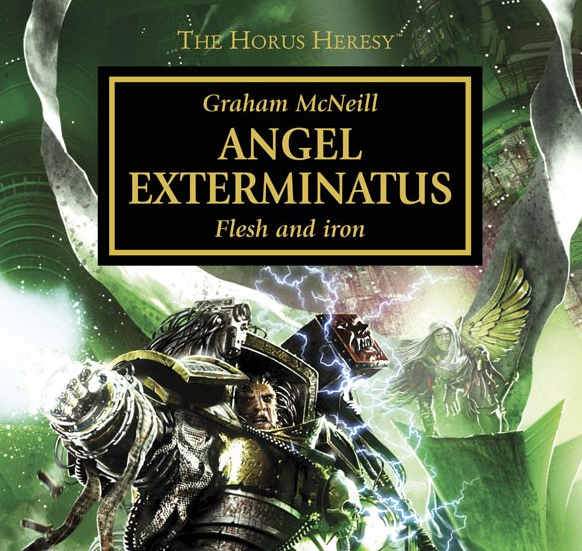 Today, I’m putting on my literary hat (it’s kind of like a cross between a fez and a “foam dome”) and giving you a run down of my Top 5 Horus Heresy novels from the Black Library. As I was looking for something to reread the other day, I noticed just how many books of this series I have read and the only other series that I have read more of was the Discworld books (RIP Sir Terry). Over a month I like to split my time between something I feel I should read that will help me to understand the human condition, culture and experience, and something I want to read that typically has things like dragons, guns, space ships and all the other cool stuff. I find it’s a good balance and in recent months, the Horus Heresy has pretty much been my go-to series for the latter part of that equation. I’ve not read all of them, but I’m not far off, and so I thought I would share my Top 5 here. I’ll try and keep spoilers to a minimum so hopefully all can enjoy (no promises though). Let’s put on our reading glasses, make ourselves a hot chocolate and snuggle up on the sofa with these good books. It makes sense to start at the beginning, right? This was the book that got the ball rolling on this expansive series and it remains a fantastic read. Covering the last days of the Luna Wolves before they became the Sons of Horus, we meet the heroes that are Garviel Loken and Tarik Torgaddon who, over the next couple of books (False Gods by Graham McNeill, and Galaxy In Flames by Ben Counter), we come to really empathise with and cheer for their efforts. They make great heroes and the action scenes in this book are written with typical Abnettian (new word, coining it) skill – fast, bloody and very descriptive. We also meet a Warmaster who actually turns out to be a pretty decent guy and in this book, he too is a hero. Then there’s Abaddon who, though not yet a villain, his character is established and we see the man who would one day lead those Black Crusades. You don’t need to read these books in order really, not if you know the story already, but this remains the best place to start your journey if you’re new to this series. It gives you a real taste of the Great Crusade and the galaxy before the Heresy too. Best Bit: Samus is coming. Samus is coming. Samus is here. 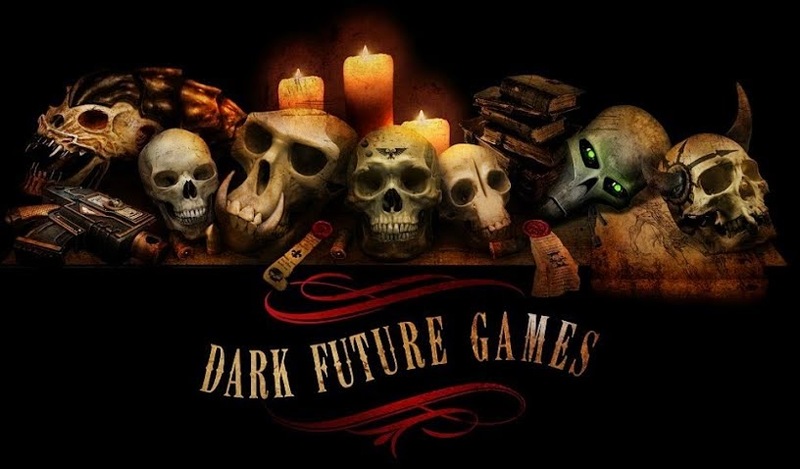 Graham McNeill’s true strength as an author is his ability to develop intriguing, interesting and unique characters that you want to learn more about. Fulgrim is absolutely filled to the brim with so many characters, from the eponymous Primarch himself to the remembrancers aboard his flagship, and from his captains to Elrad Ulthran who makes a fantastic appearance in this book. My personal favourites are the triumvirate of captains that many of the battles in this book focus on (Kaesoron, Demeter and Vairosean) whose relationship is intricate and poignant. This story centres around their fall, and at over 500 pages, it takes its time to move from the perfection of the legion and its warfare, to the fall to decadence and the embrace of Slaanesh that is truly terrifying at points. Other aspects of note are the beginning of Fabius’ experiments, the villainous mind of Eidolon, and the personal downward spiral of Serena D’Angelus (which is really quite upsetting). This was actually the first heresy book that I ever read and it remains very much within my favourites. Best Bit: Fulgrim and Ferrus on the battlefield / the Opera’s first (and final) performance. You know how I was just saying how good Graham McNeill is at creating those deep and engrossing characters? Well, over two books, they get even more absorbing and in Angel Exterminatus we get to see Fulgrim at the height of his decadence and vanity. What’s more, this is perfectly juxtaposed by Perturabo, who turns out to be quite a likeable character for the most part, bar his jealousy of Dorn. He is a master craftsman who turns his skill at building on its head when it comes to warfare and we get to see for the first time his skill at siegecraft. Further to that juxtaposition, we also have the shattered legions, stealthily hunting the two heretic primarchs across warp and world to try and get some form of revenge for what went down at Isstvan V. McNeill is brilliant at highlighting their pain and anger, as well as their honour and their determination. This is a book about desperation. Perturabo is desperate to outdo Dorn, Fulgrim to ascend beyond his mortal body, and the broken legions are desperate for revenge. Truly engrossing. Best Bit: Lucius meeting his match. Many of us knew the tale of Calth before picking up this book. Of the sudden (but inevitable) betrayal of the Word Bearers who threw dying stars, daemons and death at the Ultramarines in an effort to completely remove the 500 worlds of Ultramar from the game. Well this engrossing account of minute by minute, hour by hour action is an amazing depiction of all out warfare on multiple scales and on multiple fronts. 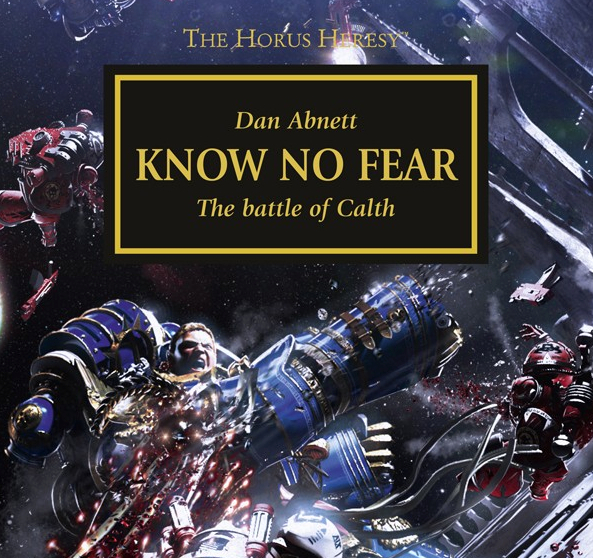 From the desperate hand to hand fighting on the surface to the star ship battles in high orbit, Dan Abnett has created a tale of destruction and devastation not seen before or since in this series. This book was both necessary to the series, and also something amazing. 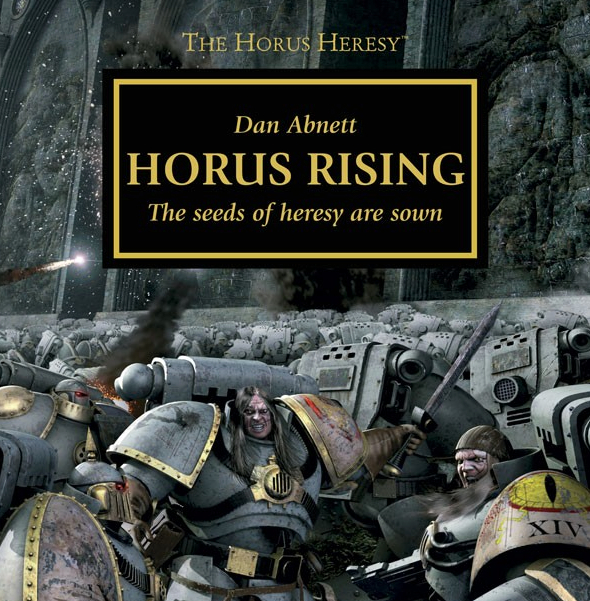 Though written by Abnett, one gets the sense that this book is really a product of all the great authors in this series and it brings a large chunk of the Heresy novels into a single point. It connects so many books together in a thrilling tale full of favourites. There are more Primarchs than you can shake a power maul at, a clutch of perpetuals, a false invasion, and a declaration of a new home for the Imperium itself, far from the threatened world of Terra. We see a stoic Guilliman, a broken Sanguinius, a brooding Lion and a very crispy Vulkan too. So much goes on in this book and it really can’t be summed up in mere paragraphs on a blog so I heartily suggest reading it, but only when you’ve read all the books that come before it – that way it does the most for you. The second half of this book is particularly amazing and centres around a long and bloody battle that is full of fear and suspense, but that’s not the best part for me. For me, it is the relationship of the loyal primarchs that you get to see in great detail here. From here on out too, all ships point to Terra. 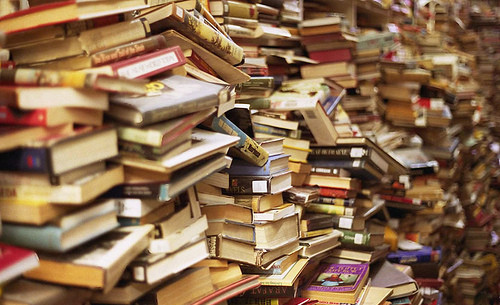 There are so many novels I could have included in here. The fact that these five books only come from two authors shocked me a bit, as others have created incredible works themselves. So I just want to highlight a few books that almost made the cut. I guess I could have done a Top 10, but that would take hours to write (time is money, people!). They are well worth discovering for themselves (all of which you can find at the black library site) and to be honest, there isn’t a single book that I haven’t enjoyed. I’m really looking forward to watching this series go from strength to strength and I can’t wait (though I’ll have to) for the Battle of Terra, should we ever reach that far. Onwards! Agree? Disagree? Stick some comments below and let me know what your favourites are! Know No Fear I liked for portraying the Ultramarines in a positive and strong light – as they do get a lot of stick for being the ‘Poster Boys’ for so long!! 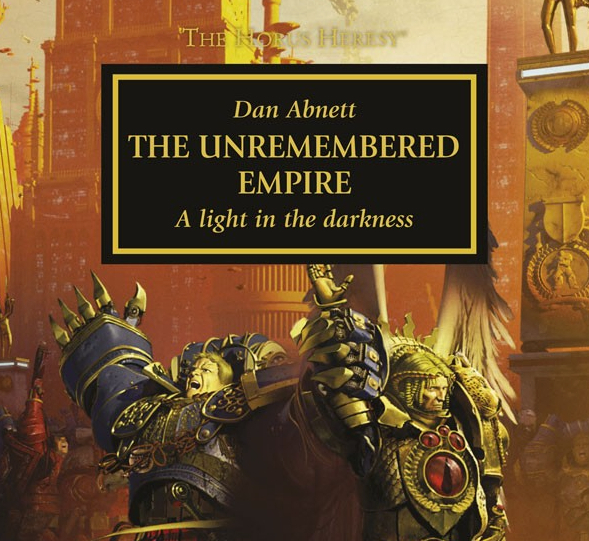 Everyone has their favourites but I suspect that Dan Abnett will appear on most people’s lists. 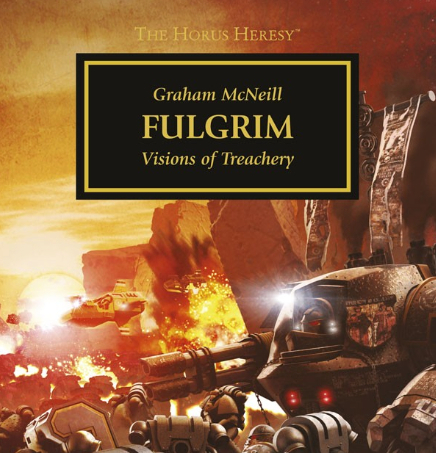 For mine I would represent Graham McNeill with Mechanicum and use the fifth spot for Swallow’s Flight of the Eisenstein. I agree with your reading approach, I like being eclectic too.